Quickie Darling Deal & Steal: A Figure-Friendly Calvin Klein Dress For Less! While Style Darling is undergoing some exciting new upgrades, I’m making a conscious effort to discuss fashion & style for women of all sizes, keeping a budget in mind, while promoting a positive body image for all. One of the best ways to show off your curves is with an a-line dress. Last summer, I shared a post featuring a classic dress from Calvin Klein @Dress Barn, & I’m happy to report that a new incarnation of the dress has hit stores, perfect for any occasion & transitioning into fall with style. 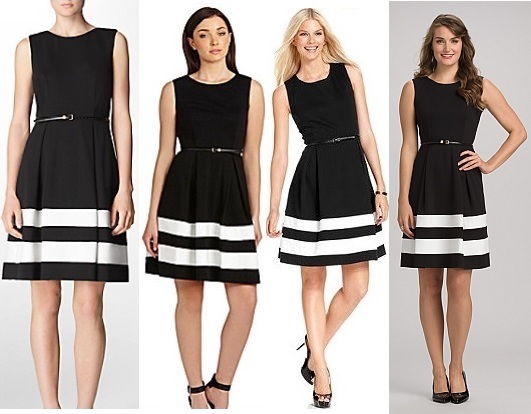 SHOP: color block stripe fit & flare dress ($59.50) in red / black & ivory (available in size 4-16) & plus size color block stripe fit & flare dress ($67.50) in black / neutral & red / black (available in sizes 14W-24W) @Dress Barn. Do you like to wear a-line dresses? 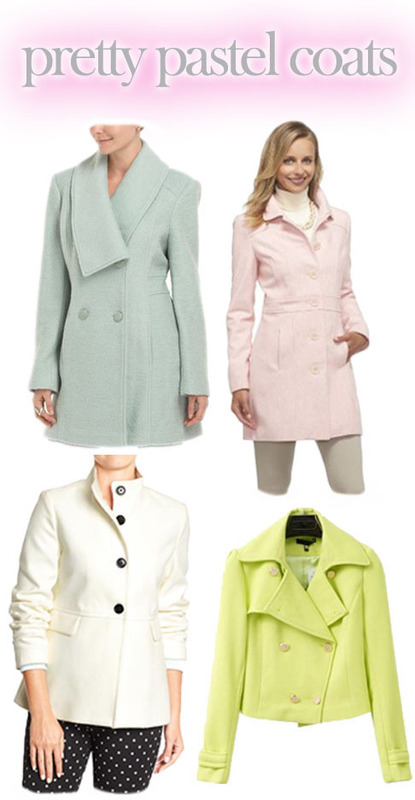 Do you shop designers at a discount? Where do you find the best summer deals? For more posts, check out Taylor Swift’s stylish music videos, ankle strap sandals inspired by Rihanna & Bella Thorne, Chrissy Teigen’s menswear separates for summer, & must-have wedges from Payless for $10.00. Happy Styling! Red Carpet Review: Jennifer Aniston’s Ultra-Stylish November! Jennifer Aniston is all over the fashion radar, promoting her newest films, Horrible Bosses 2 & Cake, the latter of which is generating a lot of Oscar buzz. However, during these appearances, our favorite Friend has been looking nothing short of glamorous, staying true to her go-to LBD style, as well as experimenting with bold colors & modern structure. While hitting the red carpet for the comedy sequel in London, Jennifer stunned in a red & black Antonio Berardi one-shoulder dress with long earrings by Jennifer Meyer, an Irene Neuwirth cuff bracelet, & black patent leather pointed toe Christian Louboutin pumps (shop here). Also, across the pond, she played with separates in an ivory Bouchra Jarrar belted peplum top & a fitted black pencil skirt. Wowing in bubble gum pink, Jennifer attended a screening for Cake in a Calvin Klein frock, burgundy nails, & a pewter Christian Louboutin pointed toe pumps. At an In Style event, Jennifer went mod in a plaid sheath dress, velvet knee boots, black tights, & chic black coat. She looked flawless in a Los Angeles in a black & white lace Zuhair Murad cocktail dress jewelry (again) by Jennifer Meyer, as well as the same pewter Louboutins. Lastly, wearing another lace embroidered dress by Zuhair Murad, Jennifer styled it with Irene Neuwirth earrings, a bracelet by Melissa Kaye Jewelry, & black patent leather pumps (again!) by Christian Louboutin. Clearly, the actress has a favorite style of shoe, which is similar, if not the same as the Christian Louboutin Pigalle pump ($675.00) @Neiman Marcus. 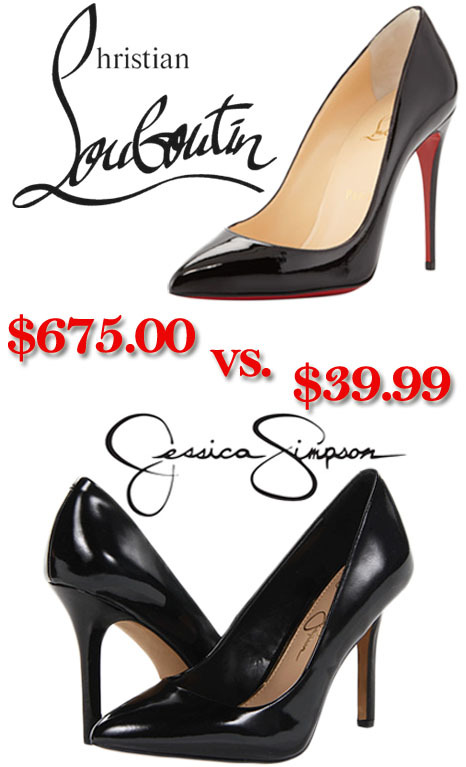 However, keeping a Style Darling shopping around for a go-to pump when making the rounds this holiday season, I’ve found a comparable & affordable alternative that won’t break the bank! There were so many styles to choose from, but I especially found the Jessica Simpson Adeni pumps ($39.99) @6PM the best price & classic look for any street-ready, cocktail party, or office ensemble. 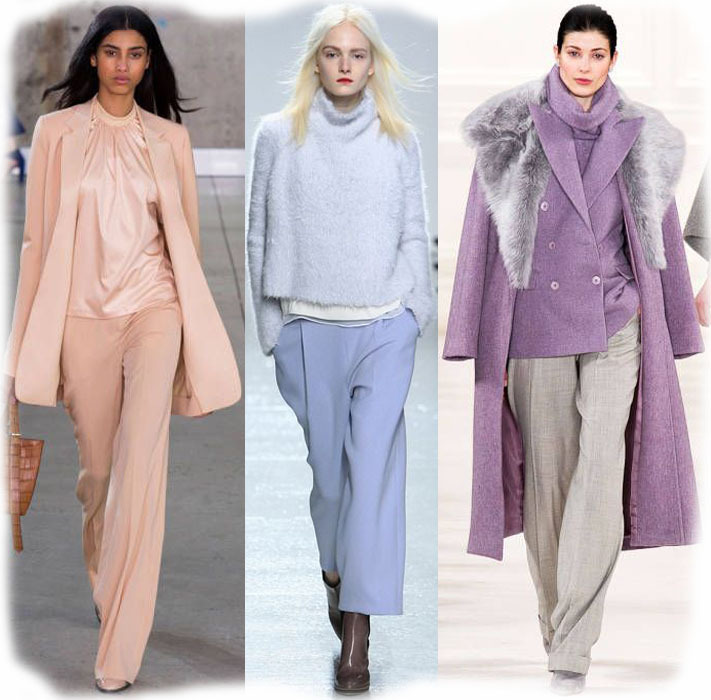 For more fashionable posts, check out the ultimate Olivia Palermo photo gallery, fabulous pastel winter wardrobe inspiration featuring runway looks from Ralph Lauren & Chanel, all-in-one beauty kits from Sephora & Ulta, & Anna Kendrick’s cover shoot for Marie Claire‘s December cover. Happy Styling! Splurge or Save… On A Calvin Klein Dress? 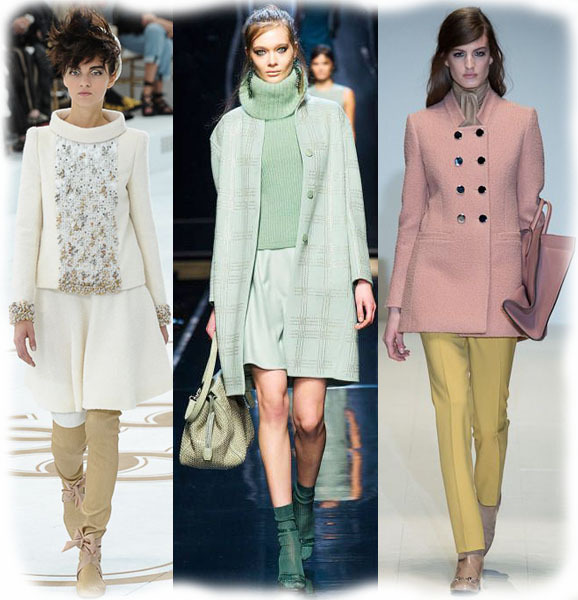 It’s hard to believe that fall styles are in stores right now & that the change of seasons is right around the corner, but that just means that it’s time to start thinking ahead to get the most out of your fall fashion budget. One of my favorite finds has been this designer pick, the Calvin Kein striped accent fit & flare sleeveless dress ($134.00). Of course, I can’t make the investment directly from the American designer’s website or store locations, but after some searching, I’ve found this exact dress, brand name & all, at several other retailers for much, much less. The above images are (left t right) from Calvin Klein, Dillards ($118.00), Macy’s ($89.00) in petite, & lastly, the most affordable @Dress Barn ($59.50). I did spot this dress at Burlington Coat Factory for $39.99, but it wasn’t available for sale online. I’m looking forward to getting a lot of wear out of this dress, especially when I go back to school in September (work school, not school school, as I’ve been saying), with freshly ironed out locks, perhaps a headband, & some killer pumps. Not to mention that as we get further into fall & even winter, this dress can be made versatile by changing up the belt, adding patterned tights, & suede booties. How would you wear this dress? What’s your favorite fall find? Where are you shopping for new fall must-haves? Happy Styling! Watch This Style: Finally! Rooney Mara’s Short Film For Calvin Klein’s Downtown! For more celebrity ads, check out Georgia May Jagger in Miu Miu’s fall ad campaign, Diane Kruger for Chanel’s new skincare line, Nicole Kidman for Jimmy Choo shoes, & Jessica Chastain for Yves Saint Laurent’s Manifesto. Happy Styling! 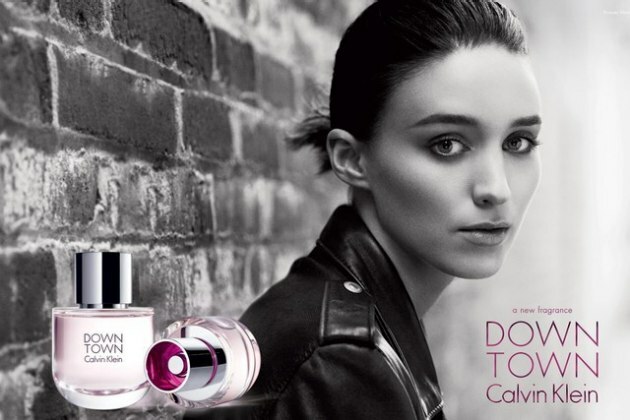 Ad Madness: Rooney Mara Is The Face Of Calvin Klein’s New Fragrance, Downtown! Rooney Mara has certainly cemented her status in fashion, especially after co-chairing this year’s Met Costume Institute Gala with Givenchy‘s Riccardo Tisci. Now the Oscar-nominated actress is the latest face for Calvin Klein‘s new fragrance, Downtown. The cool, edgy scent is geared towards a 25-35 woman, which can be seen in the upcoming, yet-to-be-seen David Fincher-directed TV spots. The print ads were photographed by Jean-Baptiste Mondino, featuring a fresh-faced leather jacket-wearing Rooney, leaning against a brick wall. “I am very excited to be included in the group of amazing women that have been featured in the iconic advertising campaigns for Calvin Klein fragrances. It’s an honor to be part of a brand with such a legacy of breakthrough advertising. The Downtown fragrance holds true to the chic, confident and simple feeling of the Calvin brand,” says the actress about the perfume which will be featured in 3,000 department stores nationwide. For more celebrity ads, check out previous posts including Diane Kruger’s short film for Jaeger Le-Coultre, Beyoncé’s new ad campaign for H&M, Marion Cotillard for Lady Dior by Dior, Kate Winslet for Lancome, & the latest from Kate Moss for Stuart Weitzman! Happy Styling!